April 5th 1983: The 1982 Mets had finished in last place going 65-97. There was some excitement over that winter when the club had made a trade to get Tom Seaver back to New York. 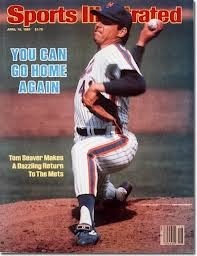 Seaver was now 38 years old, no longer in his prime but was still a good pitcher. He certainly was still a New York legend the most popular Met of all time. He was destined for the Hall of Fame & would be the franchise's greatest player in the team's history. Mets manager George Bamberger gave the ball to Seaver, for Opening Day 1983. Tom Seaver would be pitching his 11th Opening Day for the New York Mets that year and the 14th Opening Day start of his career. Trivia: This tied Walter Johnson's opening Day record of 14 opening day starts. Seaver would break that record when he pitched two more Opening Days for the Chicago White Sox in 1985 & 1986. 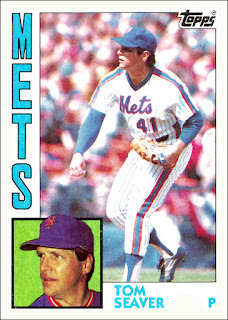 Overall, Seaver was 6-0 with a 2.13 ERA in Opening days for the Mets. 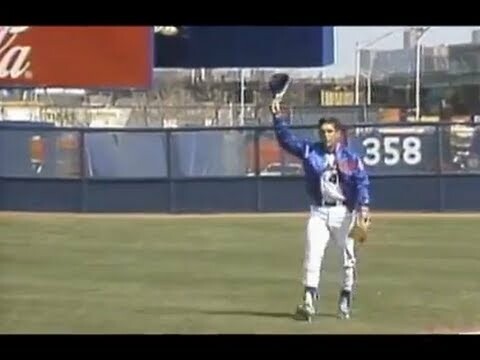 46,687 fans came to Shea Stadium to greet Tom Seaver in his triumphant return. It was a heroes welcome as he walked from the bullpen to the dugout before the game to a standing ovation. 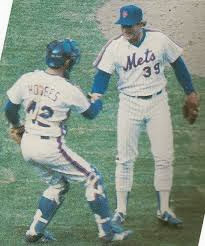 It was the most excitement Shea Stadium had seen since the Glory Days before "the Franchise" had left New York in 1977. On this Opening Day George Bamberger's Mets would host Par Corrales' Philadelphia Phillies. Seaver's opponent that day, was a familiar old foe, another future Hall of Famer who had gone up against Seaver quite often in their prime; "Lefty" Steve Carlton. At the point the Phillies had some ex-Reds from The Big Red Machine days; Pete Rose, Joe Morgan & Tony Perez were all in their lineup. 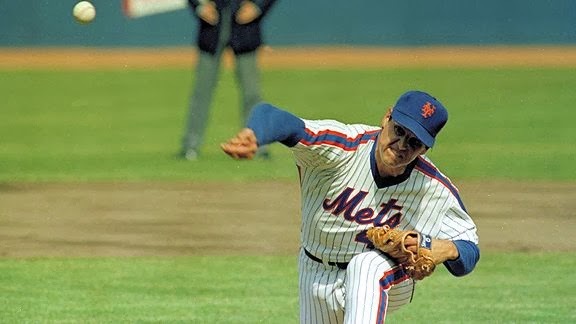 In classic fashion, Seaver struck out Pete Rose to lead off the game. He walked Joe Morgan but then almost picked him off of first base, but Dave Kingman dropped the ball. Seaver retired the side in the next three innings, before giving up a single to Tony Perez in the 5th inning. He retired the next tree batters in a row, striking out Bob Denier to end the inning. The game went along in a classic Seaver / Carlton pitcher's duel. In the 6th inning Seaver struck out Steve Carlton & Pete Rose. Joe Morgan singled but was nailed at second base trying to stretch it into a double. Seaver would pitch six innings, allow no runs on just three hits. He struck out five while walking just one. Just like in the past, he suffered from no offense. He exited the game while it was still scoreless. He was relieved by Doug Sisk, he would have a fine day too, as he would complete the shut out, allowing two hits, striking out three & walking two. In the home 7th, the Mets got four straight singles from Dave Kingman, George Foster, Hubbie Brooks & rookie Mike Howard. Brian Giles followed with a sac fly making it 2-0, all the Mets needed. Carlton went seven innings allowing two runs on six hits, while striking out nine. 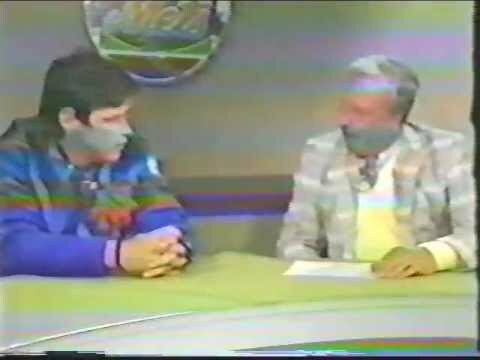 After the game Seaver appeared on Kiners Korner with Ralph Kiner, just like the old days. Tom Seaver went 9-14 that season, with a 3.55 ERA, he struck out 135 batters, walking 86 in 231 innings pitched in 34 games. He was left unprotected at the end of the season & was chosen as a free agent compensation pick for the Chicago White Sox.